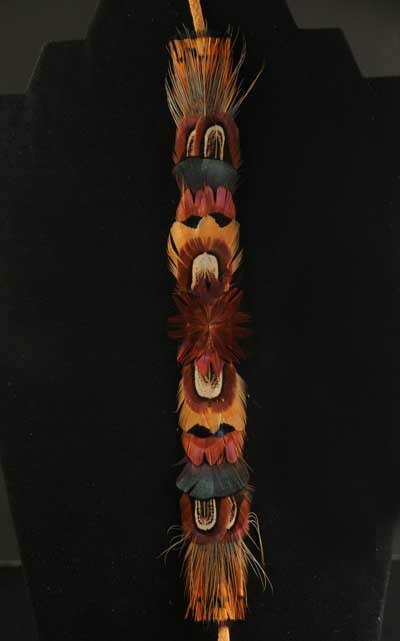 These beautiful handcrafted chokers are made for us by Mohawk feather artist Rebecca Maracle. 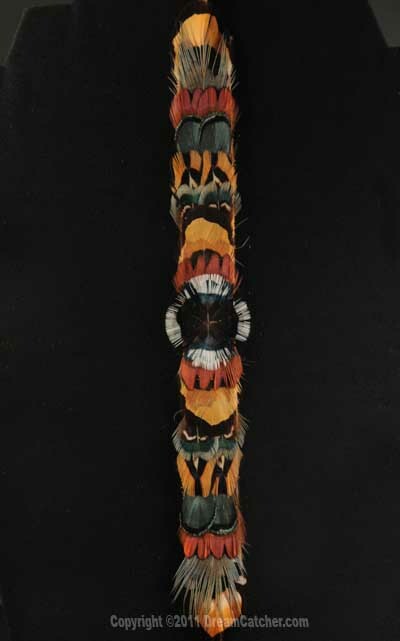 Each choker is unique and the feathers will vary slightly for each item. 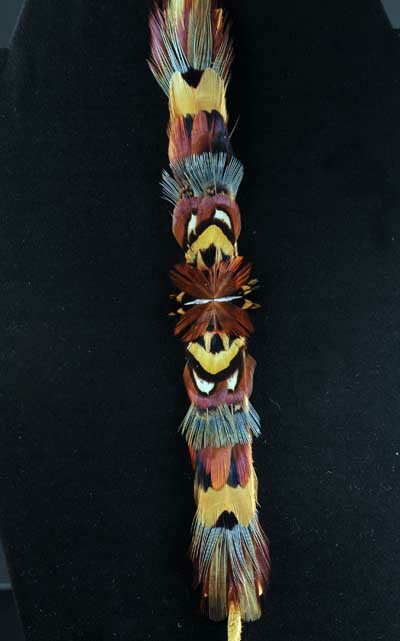 These chokers can also be used as hat bands, hair bands, head bands or arm bands (very popular with men). The beauty of these chokers and the quality of craftsmanship can not be overstated. 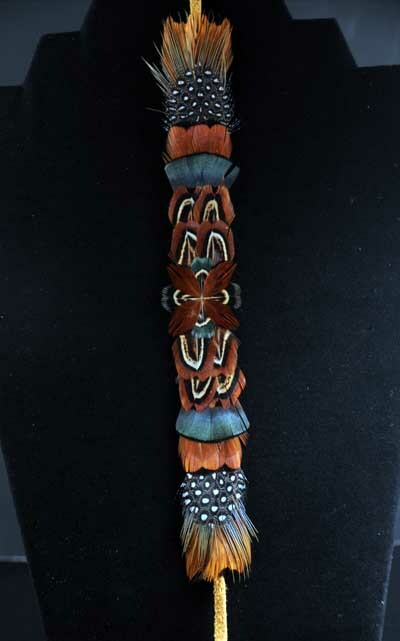 This is the perfect gift for any woman or man who can appreciate the fine attention to detail in this amazing feather work. Please view the detailed images below for more examples of these amazing pieces. 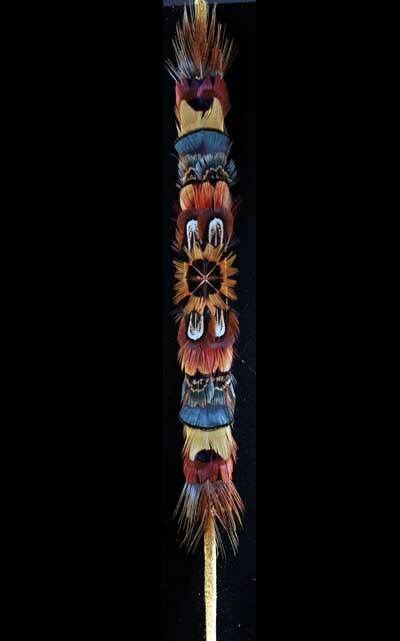 The overall width of the feathers are approximately 10"
The choker leather is approximately 27" in length.